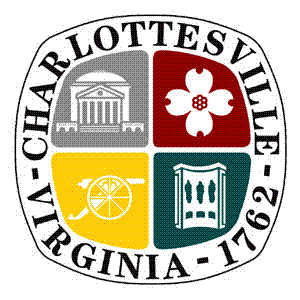 Charlottesville Mayor Mike Signer has joined the Mayors National Climate Action Agenda, pledging to uphold goals embodied in the Paris Agreement under the United Nations Framework Convention on Climate Change. The Agreement has been signed by 195 countries in the world, and in the past five days, over 200 mayors have indicated their continued support for the principles of the Agreement. City Council will be discussing a resolution in response to the recently announced withdrawal from the Paris Climate Agreement Accord at its regularly scheduled meeting tonight, Monday, June 5, which starts at 7:00 p.m. in City Council Chambers, 605 E. Main Street. On Tuesday, June 6 at 11 a.m., a press conference will be held in front of City Hall. Mayor Signer will present the reasons why adding his name to the list of signatories was timely and important. Other City Councilors will also be present to share comments. Charlottesville was one of the first Virginia municipalities to publish a community GHG Emissions Inventory Report in 2008, formally collaborated with partners in launching a local energy alliance, participated in the Local Climate Action Planning Process, competed in a national energy reduction competition in 2015 and 2016, and continues to deliver an active Climate Protection Program. The Mayors Agenda calls for binding federal emissions reductions, identifying sources of greenhouse gas emissions in each community, promoting emissions reduction targets, developing community climate action plans, finding appropriate offset projects, and furthering climate equity and environmental justice. These goals are already well-aligned with Charlottesville’s Vision to be A Green City and its commitments to climate protection. For more information about the City of Charlottesville’sClimate Protection Program, visit www.charlottesville.org/cpp. For more information about the Mayors National Climate Action Agenda, visit www.climate-mayors.org.